If there is one thing Donald Trump seems sure about, it is that the United States is getting a raw deal from China. To people who spend time studying the United States’ economic relationship with China, Mr. Trump’s accounting of its dysfunctions contains both legitimate, accurate complaints and elements that completely misstate how things work between the world’s largest and second-largest economies. 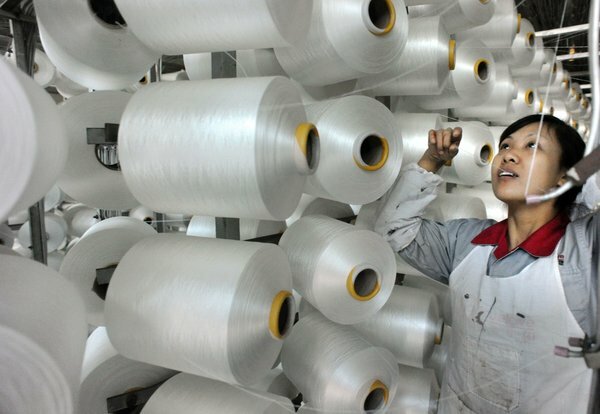 If you take Mr. Trump’s comments at face value, as president he would try to renegotiate a complex set of ties that has pulled hundreds of millions of Chinese out of dire poverty, made a wide range of goods available to American consumers at more affordable prices and contributed to the decline of American manufacturing. The central point, that the United States imports a lot more from China than it exports, is correct. To put it a bit differently, from 1999 to 2015 annual imports from China rose by $416 billion. In the same span, American exports to China rose by $145 billion. That said, many economists would argue that a trade balance shouldn’t be viewed as a simple scorecard in which the country with the trade deficit is the loser and the one with the surplus the winner. So the question isn’t whether there is a persistent, large trade deficit between the United States and China, but why. And that leads to another arm of Mr. Trump’s argument, and one of the stronger ones. It’s not that American multinational companies — heavy industry, technology or finance — can’t do business in China. Rather, their executives complain of Chinese government restrictions that they see as arbitrary, unpredictable and highly favorable to domestic companies — so much so that in practice they are either shut out or can’t make money in China. Doing business in China typically requires a partnership with a Chinese company, and that often means sharing crucial intellectual property that can enable the partner to become a competitor down the road. The rules of engagement can change capriciously, especially for American and European companies, rendering major investments worthless. American business interests have a long list of complaints: that the Chinese government uses its enforcement of antimonopoly rules to favor its domestic businesses; that the government subsidizes exports through tax rebates and other practices; that automakers can set up factories within China only as part of joint ventures and face stiff tariffs in trying to sell cars made in the United States. The United States government has pushed China on these “market access” issues for years. But the situation seems to be growing worse, at least in the opinion of American executives. The American Chamber of Commerce in China regularly surveys its members about business conditions, and this year 57 percent of executives surveyed named “inconsistent regulatory interpretation and unclear laws” as a top problem, up from 37 percent in 2012. This may reflect a faltering Chinese economy that is leading the government there to be more concerned than usual about protecting domestic companies. Mr. Trump’s complaint about China’s devaluation of its currency has a long, bipartisan tradition. It is also out of date. It is true that China intervenes in currency markets to influence the price of its renminbi against the dollar. And it is true that a decade ago, both the American government and independent economists tended to think that the interventions served to depress the currency, in the Chinese government’s deliberate effort to make its exports more price competitive. Over the last generation, China has become an important American trading partner. Imports as percentage of U.S. G.D.P. But a lot has changed in the last decade. The renminbi was allowed to rise sharply from roughly 2006 to 2015, and is up 23 percent from a decade ago. And since last summer, China has let the currency drop some, but that appears to be an example not of manipulation, but of letting the price of the currency fall closer to the rate that reflects China’s fundamentals given the country’s slowing economy. The International Monetary Fund has arguedthat the renminbi, also known as the yuan, is no longer undervalued. “At least in 2006, 2007 or 2008, the yuan was undervalued — now it’s probably not,” said Derek Scissors, a resident scholar at the American Enterprise Institute and chief economist of China Beige Book, an information service. Indeed, the Chinese government has been trying to restrict capital from flowing out of the country to stop the renminbi from falling any further. It would seem that the Chinese government and Mr. Trump are, for the moment at least, on the same side. Mr. Trump’s broader argument is that a generation of unfair economic relations with China (and also Mexico, Japan and others) is a primary cause of the troubles of American workers. Mainstream economists are more sympathetic to this view now than they were even a few years ago. Traditional trade theory holds that the losers from global trade — factory workers who lose their jobs when that factory moves overseas — are more than compensated by other opportunities created by a more efficient economy. New scholarship suggests that the pain from globalization in certain geographic locations may be longer-lasting. One study found that Chinese imports from 1999 to 2011 cost up to 2.4 million American jobs. That said, it’s easy to assign too much of the blame for the collapse of manufacturing employment to China or trade more broadly. Hundreds of millions of workers across the globe — many of whom were in dire poverty a generation ago — have become integrated into the world economy. That’s a lot of competition, all in a short span, for American factory workers. At the same time, factory technology has advanced so that a company can make more stuff with fewer workers. The number of manufacturing workers in the United States has been declining as a share of all jobs nearly continuously since 1943, and the total number of manufacturing jobs peaked in 1979; China’s trade with the United States didn’t really take off until the 1990s. In other words, trade has been an important economic force over the last few decades, and the deepening of the United States’ ties with China is one of the most important developments in global economics of the last generation. But to look at China as the sole force affecting the ups and downs of American workers misses the mark.